Mark Niemierko, the UK’s foremost luxury wedding planner, will once again share his trade and style secrets at the Niemierko Wedding Academy, at The Dorchester, during a 5 day Master- class in October 2011. In order to reveal his experience and knowledge, Mark is joined by a host of industry leading experts. Acclaimed fashion designer Bruce Oldfield OBE,will be attending the October Academy for an intimate one off Q&A session with Mark and the students. Bruce Oldfield will join Mark Niemierko on the inspirational Beauty and Attire day of the 5 day Master-class, held on Thursday 6th October, within the Dorchester’s Penthouse and Pavilion. The students will have a private view of Bruce’s current Bridal Collection. Whilst openly discussing his experiences of dressing some of the most famous women in the world. As well as giving examples of how a custom made Bridal dress goes from drawing and ideas to the wedding day. Bruce Oldfield has been creating clothes for more than 35 years for some of the world’s most famous and elegantly dressed women including the late HRH Diana Princess of Wales, to Rihanna, Jemima Goldsmith, Samantha Cameron, Helen Mirren and Sienna Miller. In 1993, Oldfield was the chosen designer for the wedding dress of HM Queen Rania of Jordan. He continues to count many members of British royalty and aristocracy including HRH The Duchess of Cornwall and European royalty as his regular clients. Today’s Bruce Oldfield bride follows in the footsteps of these most iconic and glamorous women. Aside from the Bridal Attire aspects all other elements are covered during the 5 days. 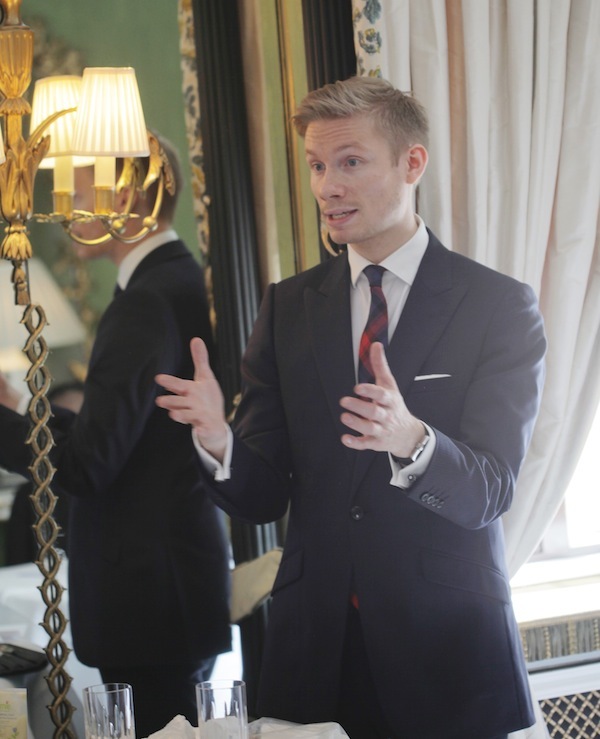 From the process of planning, wedding etiquette, budgeting, a flower class which includes a visit to Covent Garden flower market and a first class food and drinks tasting at the Dorchester. The days are broken down into concise classes, between which breakfast, lunch, afternoon tea and the odd glass of champagne is served. The 5 day Master-class is limited to 10 participants, allowing the students an intimate and exclusive learning experience. The October Academy will be held over 5 days from Monday 3rd October till Friday 7th October. The course fee is priced at £1,950. To register for a place in the Niemierko Academy visit www.niemierkoacademy.com. Images via Allora Visuals and Bruce Oldfield. this looks amazing! those photos you included are gorgeous!